It was just like how anyone would've liked a gig to end. Everyone dancing, including the band playing on stage, including the band who played before the band dancing on stage, it was exactly that at the double bill Figure 8 put up at *Scape: The Ground Theatre. 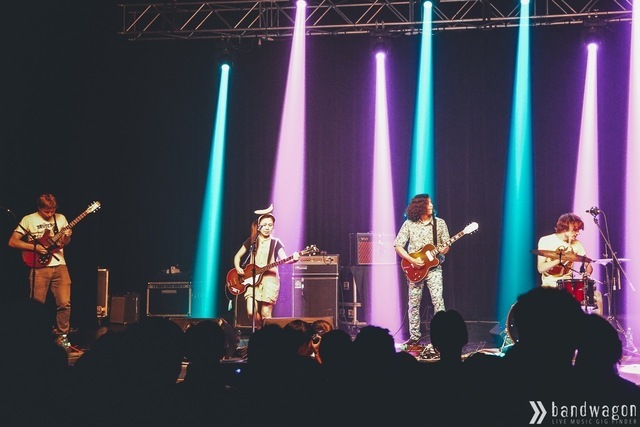 The band responsible for all the rollicking is Deerhoof. Breaking out into the Great Singapore Workout-esque antics on stage was this noise-rock band from San Francisco, with lead vocalist Satomi donning a banana headband on her head and kicking near impossible leg punches, along with Greg Saunier in beastmode on the drums. It really didn't matter what they were singing, or even saying after a while because of so much improv that was going on. It was quite another story earlier on the night when The Trees and the Wild took to the stage in all grimness. 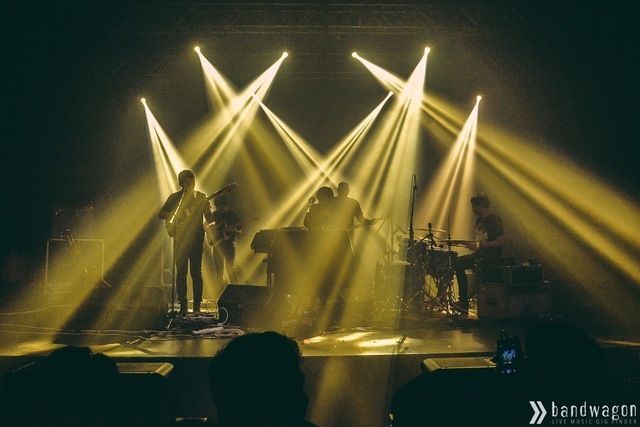 Though marred with some sonic difficulties, the band's presence filled the auditorium, coupled with the spectacular light show that illuminated the band in a dusky glow for the entire set. They braved through the entire set with no hellos and how are yous, and no encores - just like their heroes Godspeed You! Black Emperor. The genre "sombre tropical" that Remedy Waloni, frontman of The Trees And The Wild coined years ago is thrown around a lot in reviews of the band's music. But some time late last year, it's pretty apparent that their sound has transcended from that, worldly and still local at the same time - crowd favourite 'Saija' for example opens with a traditional hymn from Irian Jaya. A night of polarities for everyone who stayed - ethereal and trance-like soundscapes with The Trees and the Wild, and then it was calculated chaos with Deerhoof. Best of both worlds right in a spacey auditorium in the middle of the city.